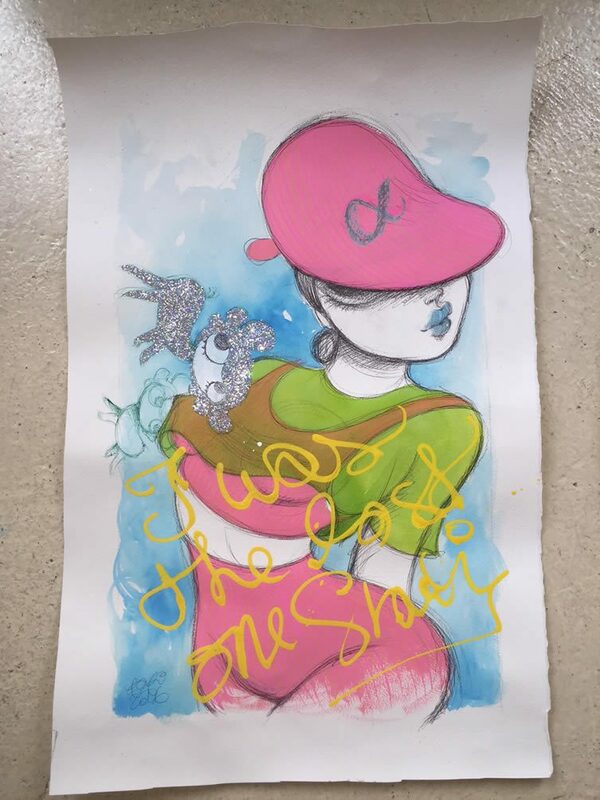 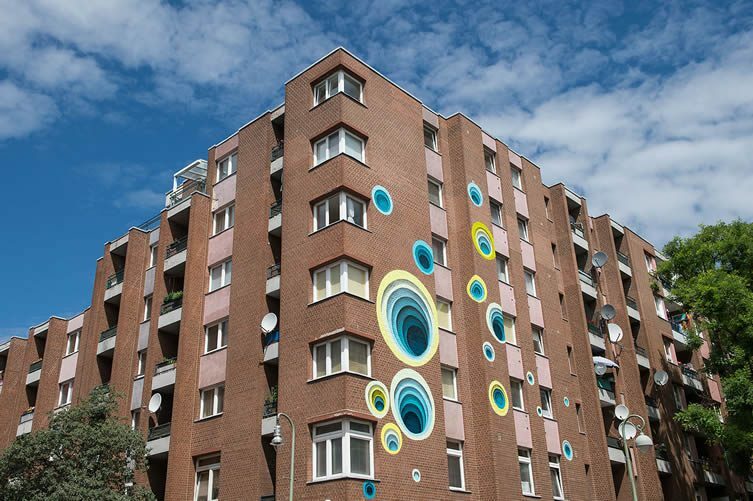 JUSTKIDS (the street art platform behind, among plenty of other projects, Las Vegas’s Life is Beautiful) and does-what-it-says-on-the-tin website StreetArtNews have joined forces for an ongoing painting week and exhibition in Berlin. 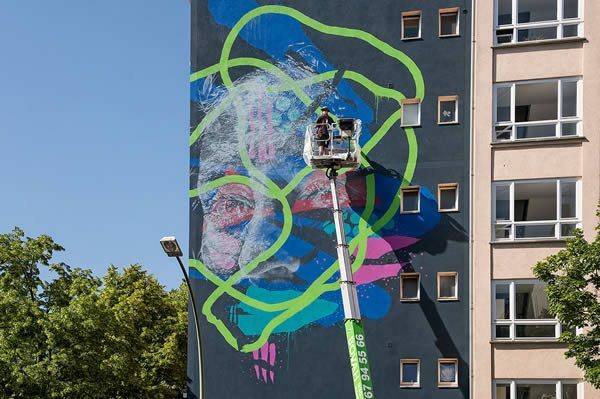 Project M/9 Colors saw internationally acclaimed street artists 1010, Askew, Bicicleta Sem Freio, Borondo, Eron, and Fafi coming together for a week-long mural initiative throughout the streets of the German capital earlier this month; several more artists involved in an indoors exhibition at Urban Nation Berlin that runs into July. 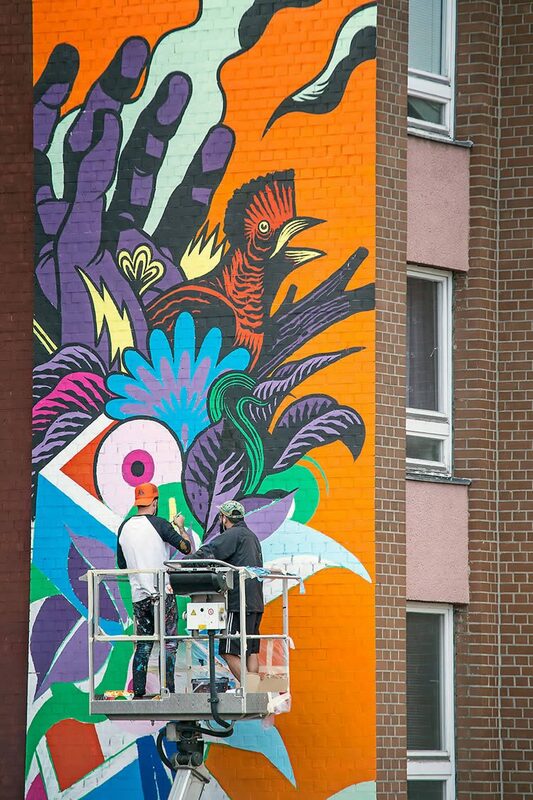 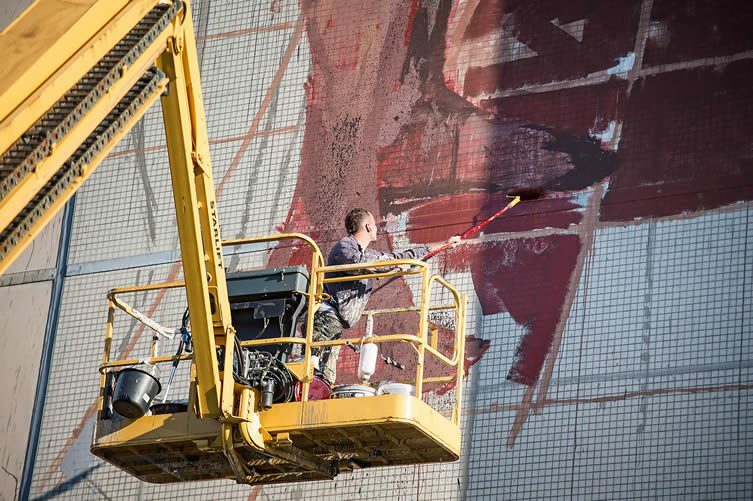 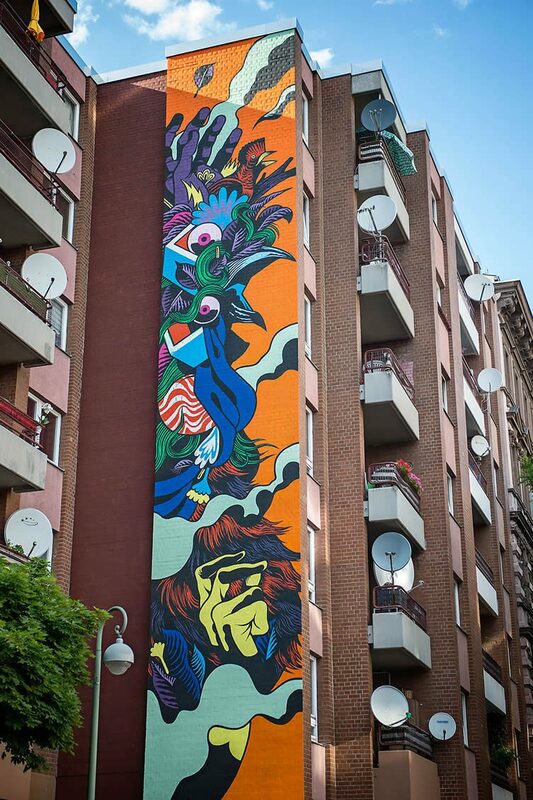 As street art continues its ascendancy into the popular visual vernacular, the project’s six murals bring further light to a city already flooded with artistic inspiration at every turn. 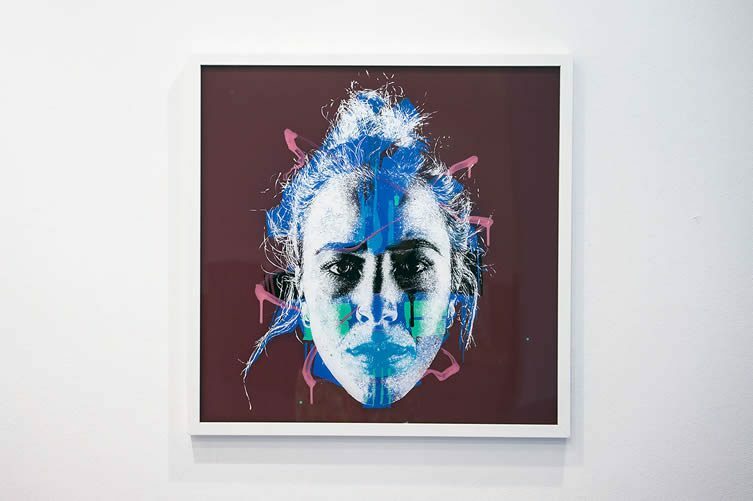 Young Spanish artist Borondo delivers his singular painterly approach; 1010 Op Art-inspired mind trickery; Brazilians Bicicleta Sem Freio one of their unrivalled riots of colour. 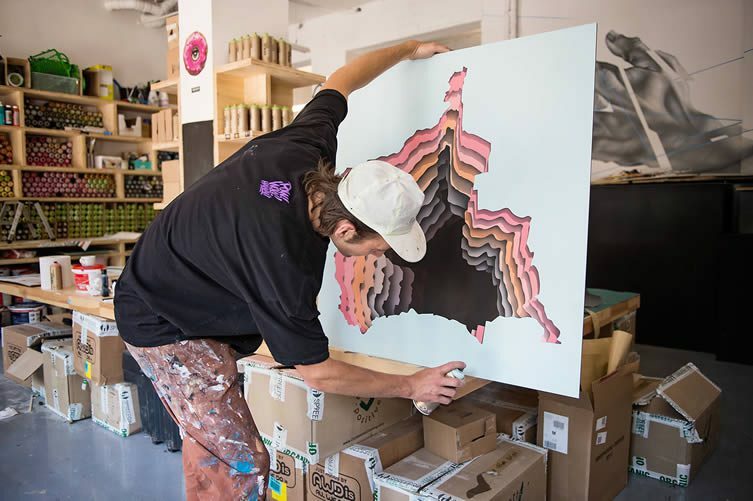 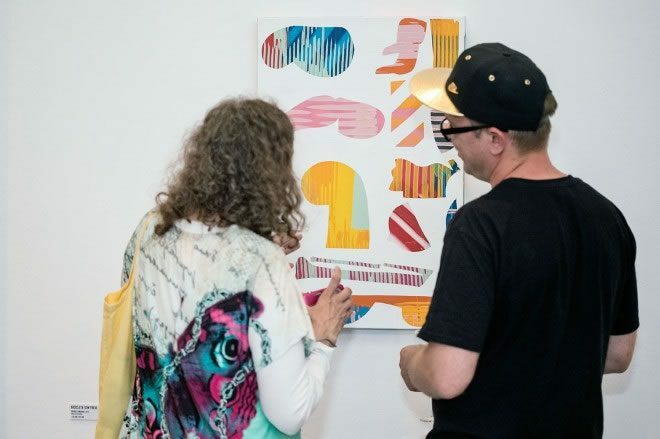 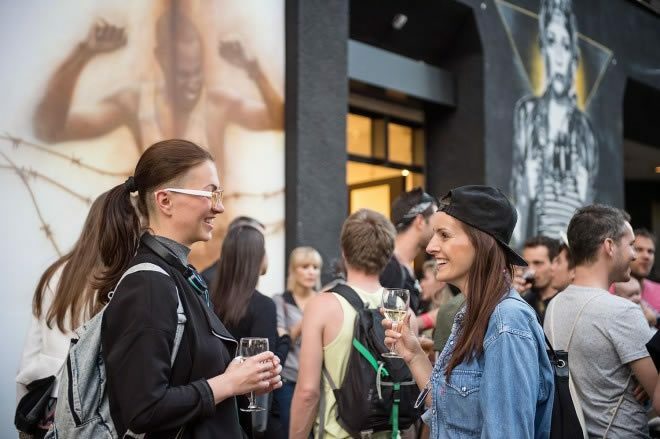 Inside at Urban Nation, the likes of Tristan Eaton, Felipe Pantone, Okuda San Miguel, Crystal Wagner, Maser, and Jan Kaláb add to works from the muralists, with a series of pieces across a multitude of mediums. 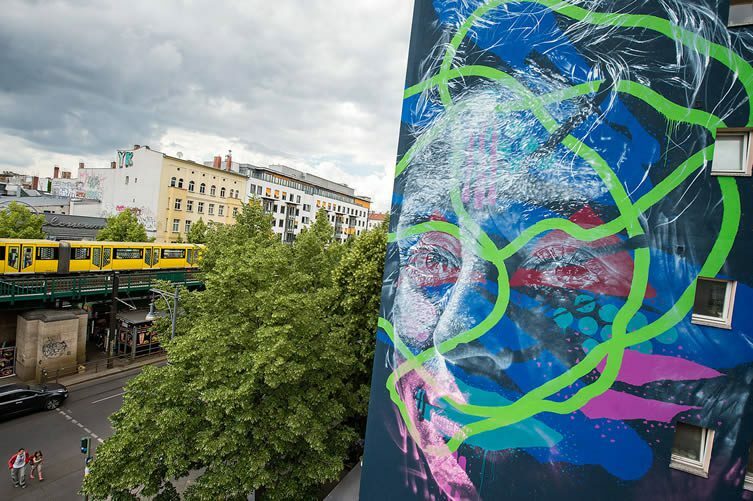 Project M/9 Colors (presented by JUSTKIDS and StreetArtNews) continues at Urban Nation, Berlin, until 20 July.